At Muskingum, your afford-ability matters. 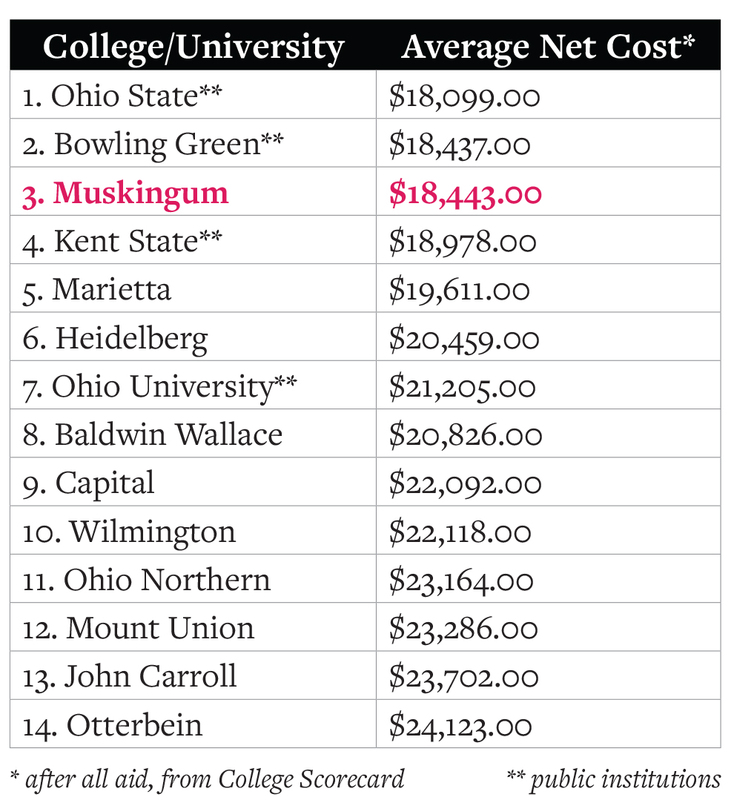 Muskingum’s average net cost places it among the most affordable private institutions in Ohio. The chart above provides examples of initial awards for new, first-year, domestic students entering in the 2019-2020 school year. Amounts are based on a college-prep curriculum, ACT composite score/SAT composite score (New SAT: Reading/Writing + Math), and Cumulative High School GPA (on a 4.0 scale). 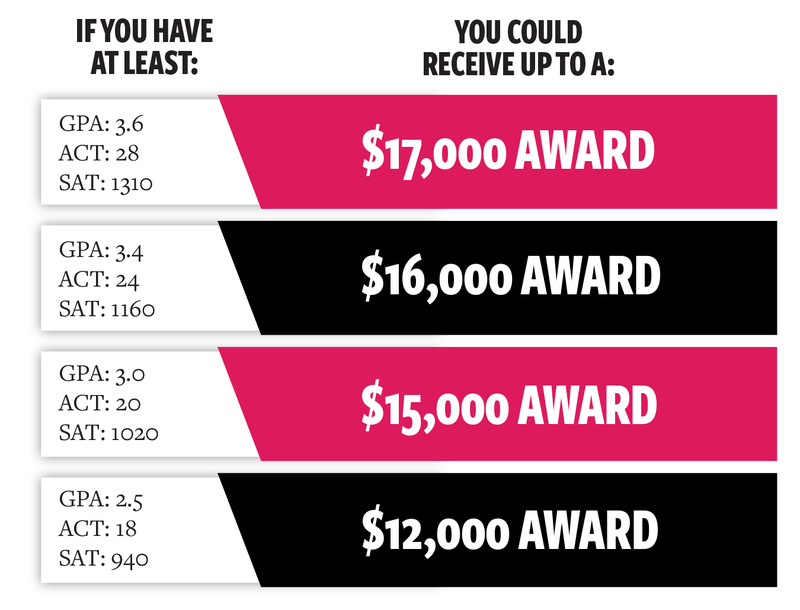 The application for admission serves as the application for these awards. We're more affordable than you think.  Want a personalized estimate of your costs? To learn just how affordable your Muskingum education can be, we invite you to use our Net Price Calculator.